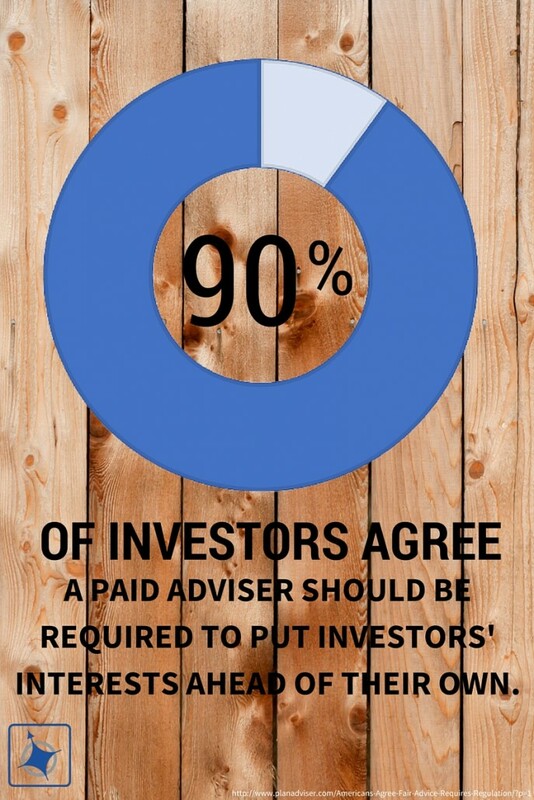 Investors expect paid advisers to operate in their best interests. 63% "believe that current laws do not do enough to protect consumers from being taken advantage of in the financial markets." 33% feel 'nothing has been done' by Congress to protect consumers. 70% of respondents "agree that financial advisers should be regulated to protect investors and build consumer confidence in financial services." Being a fee-only, fiduciary firm, we have the constant challenge of educating clients on the difference between a fiduciary and suitability standard of care. The challenge lies with the assumption of trust that many investors give to their financial adviser, which is not always warranted. I think most people want to assume a person of professional influence would naturally be required to operate in our best interests. Unfortunately, with the lower suitability (broker) standard of care, a number of products can qualify yet have huge differences in compensation to the adviser. It then becomes a decision for that adviser to operate in the best interests of the investor or maximize the income that individual/organization will earn from the sale. If you take one thing from this survey, it's that investors want clarity on how their adviser operates so they can assure themselves of being advised toward decisions that are in their own best interests, not their adviser's. Planning to hire an adviser? Use this free guide to interview them first!